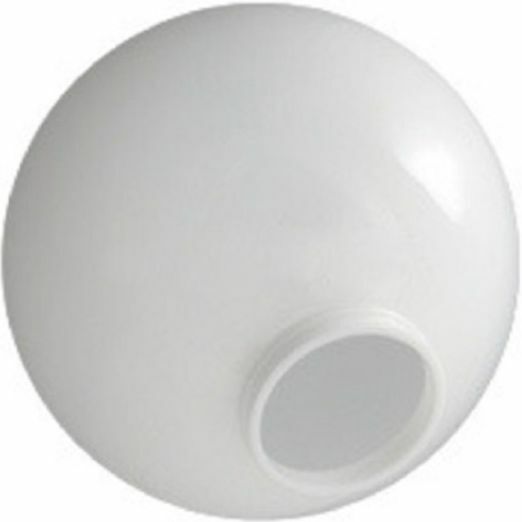 Globes are 12 inches in diameter with a 3.91 inch solid flange to fit a 4 inch standard fitter. They have a white matte finish and are one piece rotational molded with UV inhibitors to help prevent yellowing. They are manufactured in the US. They are great!! Exactly what I needed to fit my outdoor fixture perfectly. I have tried for a VERY long time to find replacements with no luck until I find your website. I will order more in the future from you. Our order came quickly and was correct. The globes are very well made and dealing with this company was a very good experience. I would recommend them!